During the summer months birds require high protein foods, especially during their moult. During cold winter weather birds will benefit from high-energy or high-fat foods, which will help them to maintain their fat reserves and to survive frosty nights. Autumn is the time to change the composition of bird foods offered and perhaps the arrangement of your feeders. It is relatively easy to plan for winter bird feeding. Follow the link below to read the full blog post. Do corvids play for fun? Do animals have a culture? Is pigeon racing a cruel blood sport? Should we help birds like crows, gulls or pigeons? What does it mean to show respect to sentient beings? What is the mirror test and why is it flawed? Why is it morally wrong to use animals for education or entertainment? Why should we help non-human animals? Why should we treat animals with respect? What is leucism? Can leucism be treated? Crows eat carrion. But what else does corvids eat? Do omnivorous corvid species actually need grit? How do you know the difference between a female and male crow? How do you make sure that your birds eat enough? 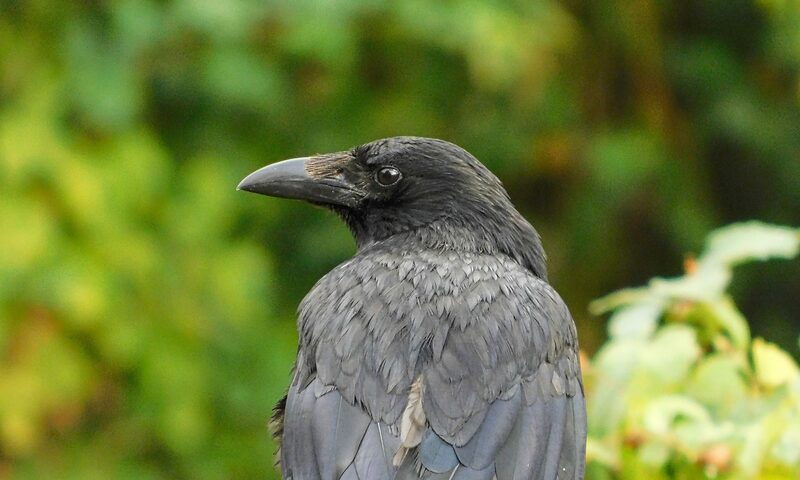 What are indicators that a crow is very old? What are the reasons for white feathers in corvids? What do I need to know when rehabilitating corvids? What does the care for temporarily and permanently disabled birds involve? What is a scissor beak and how can this deformity be treated? What is imprinting and why is it dangerous? What is the best design for a corvid aviary? What is the best diet for corvids? What is the best type of bandage to be used for a wing splint? Are birds eating snow to keep hydrated? Are pigeon droppings a health hazard? Are there humane methods to address the feral pigeon problem? Can birds get infected by contact with viruses transmitted by humans? Could a swan break my bones? Domestic cats killing birds is natural, isn't it? How can I prevent Canker? Should I feed milk or bread to a bird? What can I do to keep the bird bath ice free? What is the best time to trim and cut hedges? What is the difference between hard and soft release? Why shouldn't I light a bonfire? I have found a crow fledgling with white feathers? What does this mean? I have found a grounded swift? What shall I do? I have found a live stranded porpoise, dolphin or whale on the beach? What shall I do? I have found a racing pigeon. What shall I do now? I have found a rook fledgling on the ground. Will the parents come back and feed? I have found a trapped bird. What shall I do? I have found an injured animal on the road. What shall I do? I have found an injured bird. What shall I do? I have found an oiled bird. What shall I do? I have found an orphaned seal on the beach. What shall I do? Should I raise an abandoned baby bird? What shall I do if a bird has been injured by a cat? What shall I do, I have found an abandoned baby bird? Will parents reject a baby bird, which has been handled by humans?